Welcome to week two of the Comic Book Herald reading club! 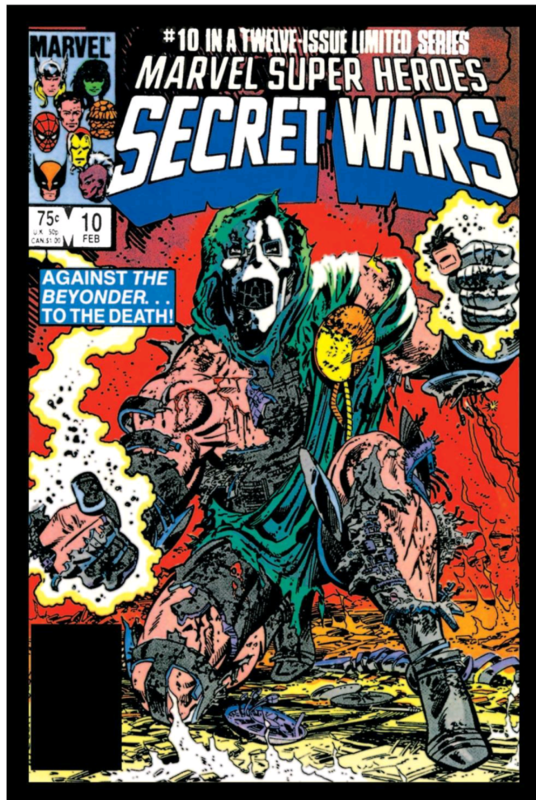 This week we covered Jim Shooter and Mike Zeck’s Secret Wars #1 through #12 from 1985, one of the most iconic events in Marvel Universe history. If you have any suggestions or feedback for the Comic Book Herald reading club, you can email me directly (dave@comicbookherald.com) or add your feedback to a new suggestions forum I’ve set up. Additionally, if you have any friends, family, or unlucky strangers who might enjoy our reading club, send them this link! So in almost every way, Secret Wars is the most corporate, cash-hungry comics scheme ever. This is frequently referenced with some form of disapproval, as if Secret Wars is diminished as a story because of its corporate benefactors. Having explained all that… I don’t care. I still love her. The child like concept of a toy manufacturer (uh… good vs. evil on a Battleworld with totally baller fortresses?) is just a blast. Few comics are as fun, or provide as wide an overview of the core Marvel Universe than Secret Wars. It’s entirely possible that Secret Wars is the actual best starting place for a new Marvel Comics reader. Naturally that’s part of why we’re covering Secret Wars this week. The other? As you’ve likely heard, Marvel’s major 2015 event will be an all-new Secret Wars (as part of the 30th anniversary celebration of the original). It’s going to be a genuinely status-quo obliterating doozy, and I’ll have more on how to get caught up on the new Secret Wars as we proceed. As you’ve likely figured out by now, I’m a huge fan of Secret Wars. It distills the essence of so many Marvel heroes and villains so well for new readers. Some of them (Kang, Doctor Octopus, Hawkeye) come off slightly generic as a result, but nonetheless, few events have balanced a roster of characters this deep with any level of success, and Secret Wars stands as one of my all time favorites. These comics are so much fun and feature so many big ideas. Doom’s conquest to obtain the Beyonder’s power while everyone else just tries to get by. Galactus summoning his homeworld ship and then every character in the Marvel Universe reliving Fantastic Four #48 to #50 at once. The X-Men, Magneto, and mutants experiencing a sense of mistrust and paranoia that would follow them all the way through to Avengers vs. X-Men (and then some). Since I have almost nothing critical to say, I’ll go straight to the forum discussion topics I asked earlier this week. My first question: Who is your favorite hero after reading Secret Wars? Who is your favorite villain? I have to agree with the Doom vote, as my next question will make clear. The Hulk is an interesting choice here because of the range of Hulk we see. The aforementioned Secret Wars #4 cover with Hulk literally holding up a mountain Molecule Man dropped on the team is fantastic. I actually like intelligent Hulk in a lot of ways, and Shooter transitioning Banner to big monster meat sort of diminishes the Big Green’s impact on the narrative. That said, it also feels like an essential part of the Hulk mythos (intellect coming and going, variations of Hulk never ceasing to change) and that I approve of. Here’s why I discount the Hulk as having a particularly successful Secret Wars. First, he gets completely owned by The Enchantress. And second, he has the (admittedly awesome) misfortune of having his leg broken by Ultron, after bashing Ultron’s head just oh so very much to the right. Mr. Fantastic on the other hand feels to me like the only reason the heroes ever really have much of a chance. 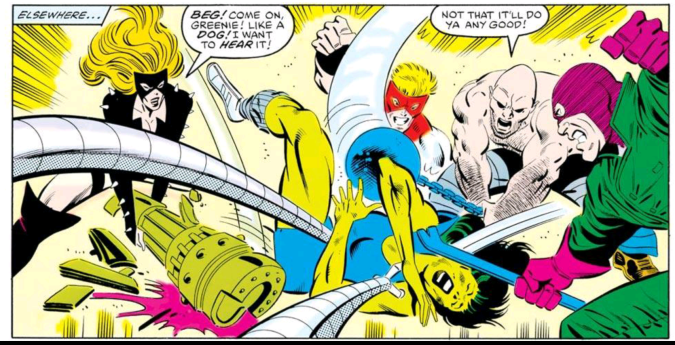 This stock, stars and stripes 1980’s version of Captain America defers to Reed on basically every topic imaginable (this after Wasp defers to Cap as leader of the Avengers for reasons of… patriarchy? Who knows). On top of all that, Reed just up and takes his shirt off when meeting Spider-Woman for the first time. Next panel? Shirt’s back on! With brains like these who has time for a shirt?! Next Question: Is this the best Doctor Doom story of all time? Right, he’s awesome! Secret Wars is such a surprisingly great job at capturing the essence of Doom by Shooter and Zeck. At his core Doctor Doom should be 2 things: 1) Irrevocably arrogant and 2) On a quest for greater power, no matter his current power level. He is literally Kanye West. Hang on, it sounds like you’re saying there’s a better Doctor Doom story out there? But… he steals Galactus’ cosmic power and then uses that to steal the power of The Beyonder! And then he kills the Marvel Universe! It’s all time Doom! Hey Kids – Do You Like Violence? 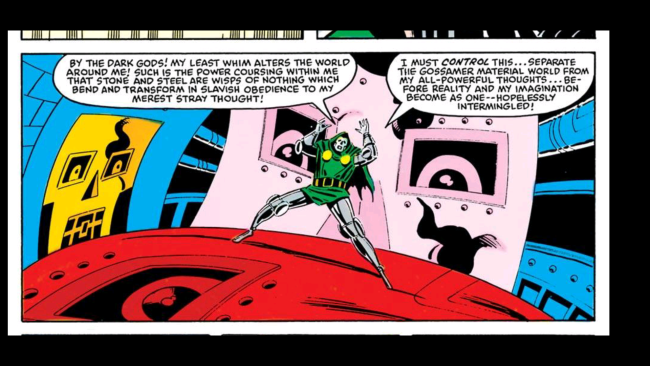 Ok, ok, there are a lot of great Doctor Doom stories. 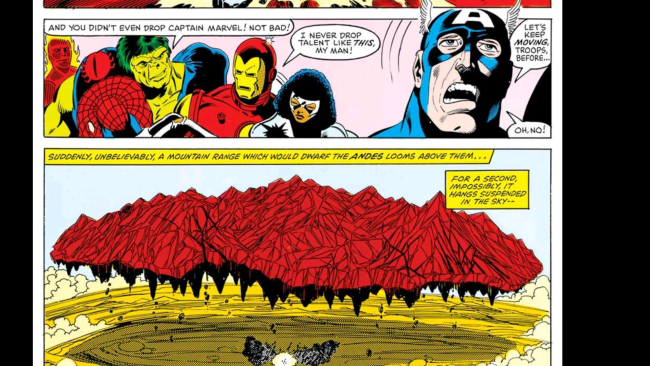 Is Secret Wars the first Marvel event? The answer here is probably no, especially given that Marvel’s first crossover technically happened all the way back in 1940 with the Sub-Mariner and the original Human Torch. You also have 1982’s “Contest of Champions” which is very similar conceptually to Secret Wars. A cosmic force for life and a cosmic force for death gather ALL the heroes of Earth in their grand contest of champions. They then have the heroes compete in what amounts to an epic game of capture the flag. You’re not missing much if you skip Contest of Champions, but… it happened. That said, Secret Wars is – to my knowledge – the first mega event miniseries of this magnitude to succeed on a grand scale and impact Marvel continuity to such a degree moving forward. This is entirely the status quo in today’s comic book industry, but in 1985 a 12 issue miniseries involving a giant chunk of a comic book universe was not very common. For better or worse, Secret Wars proved that this approach could work, and could generate some of fandom’s favorite comics. In the aftermath of Secret Wars, Marvel would launch a sequel (Secret Wars II) followed by more and more line-wide crossover events, like Acts of Vengeance and Atlantis Attacks! Secret Wars itself is notably lacking in tie-ins (I’d argue this is for the best), but it does include tie-in prelude issues that helped set the stage and build excitement for the event. Many of these are simply characters experiencing strange sensations, but in some instances, it’s the Thing destroying a statue in Central Park because some kids got rowdy, and then discovering and enormous Battleworld going up on a Tuesday. For the most part, you can read Secret Wars unencumbered by the comic book continuity of 1985. 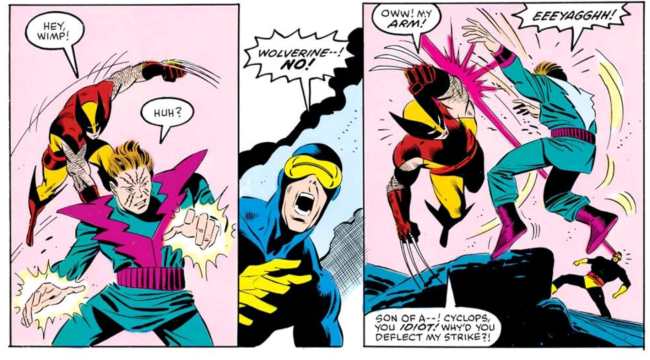 There are a handful of teams in their ’85 lineups (Photon is with the Avengers, Professor X is walking, Iron Man is James Rhodes), but it’s pretty easy to just roll with the punches and accept that all that really matters is whoever made it to Battleworld. 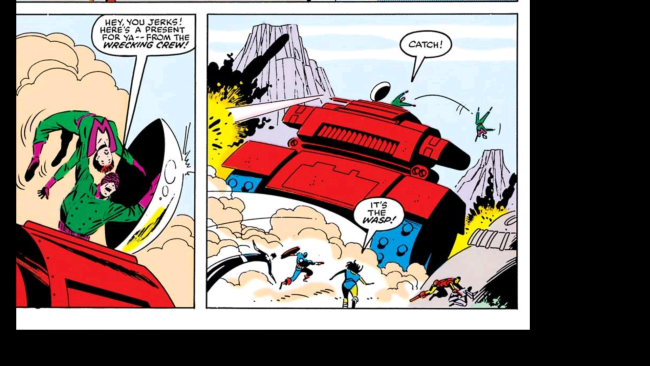 As I mentioned in the above section, there are “tie-in” preludes to Secret Wars, but again, these are mostly one panel references to visions from beyond, or ultimately characters finding a Battleworld apparatus in the middle of Central Park. 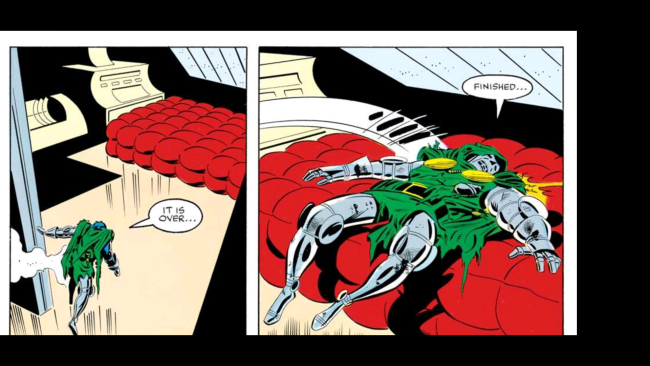 The most interesting pre-Secret Wars bit of continuity that would be the cause of much discussion in future comics is the fact that Doctor Doom had seemingly died in Fantastic Four before the event. Nonetheless, he showed up on Battleworld as if nothing could fell the house of Doom (and truly, what could?). This incongruity comes up several times in future issues of Fantastic Four, notably Secret Wars II when the story tellers go to GREAT lengths to explain how Doom could have possibly been in Secret Wars, and for that matter, still be alive. In the mighty Marvel manner, it’s timey-wimey and involves transferred consciousness. Of course. Typically, I find Secret Wars more interesting for the impact it had on future Marvel continuity. 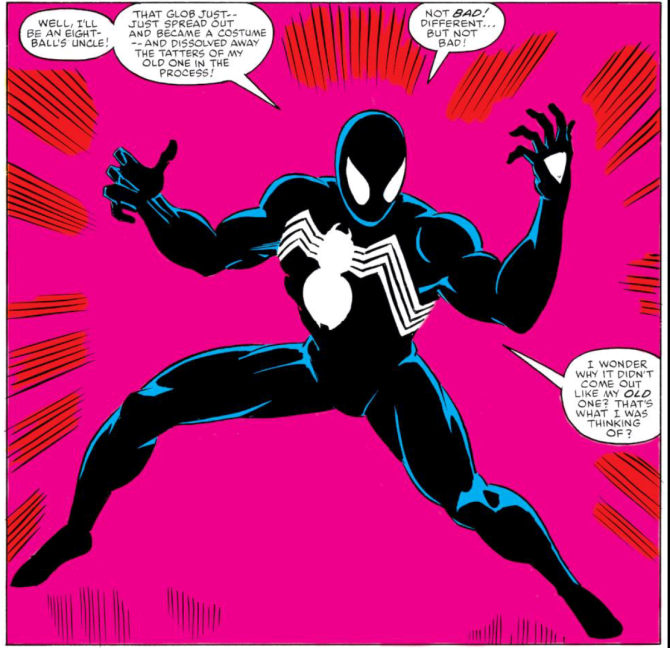 Spider-Man’s black suit discovery completely changes the game for the web-slinger, and would go on to generate some of the best and most memorable Spidey stories of all-time. 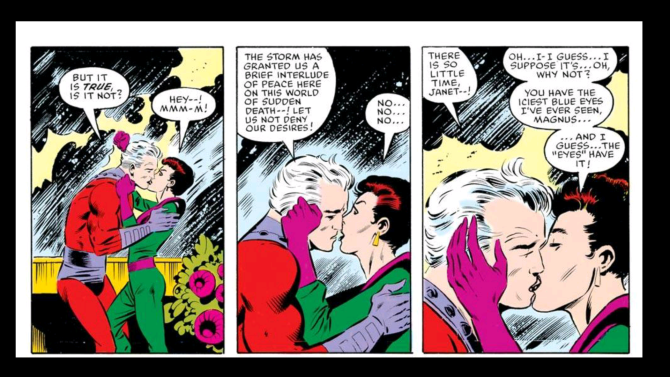 Likewise, Owen Reese, the Molecule Man was never the same again, and definitely the character most closely tied to the Beyonder and the event of Secret Wars. Molecule Man would play an enormous role in both Secret Wars II and Secret Wars III (unofficial title for the sequence of Fantastic Four issues that readdress the Beyonder). 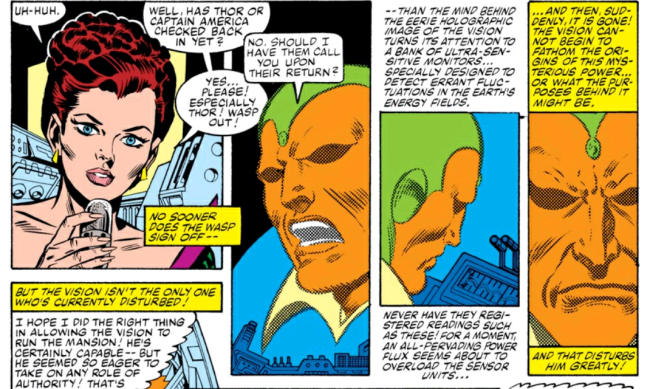 In retrospect, it should have been enormously apparent that Jonathan Hickman’s Avengers & New Avengers were spiraling into a Secret Wars the second Molecule Man showed up in Doctor Doom’s research facility. And finally, Secret Wars also gains the illustrious credit for leading to “Thing in Space” and Ben Grimm’s “cool” spikey rock phase. You can’t win ‘em all. What are our lineups of heroes and villains? Anyone conspicuously absent? No Ant-Man which is kind of a slap in the face (oh jeez, too soon) to a founding Avenger. No quicksilver and scarlet witch. No Inhumans. No Silver Surfer, or much of anyone Cosmic (Thanos, Star Fox) outside of Galactus. No Luke Cage, Iron Fist, Dr. Strange (notable! ), Punisher, or Deadpool, although to be fair Deadpool hadn’t been created yet (that wouldn’t stop him from starring in a Secret Wars II tie-in 12 years later during Deadpool Team-Up #1). Of all those characters, I think I would most liked to have seen Dr. Strange on the hero side and Thanos on the villain side. Given the success of Secret Wars, how has it been largely left alone for as long as it has? I can’t speak to the editorial concerns with any certainty, but my best guess is that the intent was not to leave Secret Wars alone, as evidenced by next year’s enormous crossover, Secret Wars II. Except Secret Wars II was such an unwieldy mess (I find it fascinating, but nearly unreadable) that Marvel just backed off the Secret Wars all together. It isn’t until Fantastic Four during the unofficial Secret Wars III that it’s picked up again, and really only then to reimagine the Beyonder as the cosmic entity known as… Kosmos. I just find it very interesting that this seminal event was mostly left to stand on its own as the years progressed, whereas the Dreaded Competitor’s major event from 1985 – Crisis on Infinite Earths – impacted all of DC continuity and was picked up memorably in books like Infinite Crisis and Final Crisis (although even that is a 20 year gap). Based on the stories we just read, here are some essential referenced stories, as well as some suggestions of my own. Consider this a “read if you liked” or in this case “read if you can’t get enough Secret Wars.” The below will also get you caught up for 2015’s all new Secret Wars! Let’s hear it one more time for creepy sexist, horn dog Iron Man! A passed out, nearly dead Photon doesn’t stop James Rhodes – filling in for Tony Stark as Iron Man – from a frat club “I don’t drop talent like this, my man!” Judas H. Priest, Rhodey. You’re supposed to be the considerate one! No… No… No… means, well, probably NO!!! You can read one or all of these as your schedule dictates, but I am suggesting Daredevil: Yellow, Spider-Man: Blue, and Hulk: Gray in their entirety. It’s worth mentioning before you begin that these series take a nostalgic look back at the early days of each hero, particularly their romantic interests. In many cases, we know the fate of said romantic interests, but if you don’t, you may want to brush up on your Gwen Stacy, Karen Page, and Betty Ross before you begin.